Ibrahim Rugova was born on December 2, 1944 in the village named Cerrcë, in the municipality of Istog. On January 10, 1945 the Yugoslav communists shot his father Ukë and grandfather Rrustë Rugova, who had been famous fighter against Chetnik bands who were penetrating into Kosovo during World War II. Ibrahim Rugova finished elementary school in Istog and secondary school in Peja in 1967. He graduated form the Faculty of Philosophy - Department of Albanian Language and Literature in Prishtina. During the academic year 1976-77 he stayed in Paris, at the Ecole Pratique des Hautes Etudes, under the supervision of prof. Roland Barthes, where he attended his scholarly interests in the study of literature with a focus on literary theory. He defended his doctorate dissertation in the field of literature at the University of Prishtina, in 1984. In 1996 Dr. Ibrahim Rugova was elected correspondent of the Academy of Arts and Sciences of Kosovo. At the beginning he was editor of the student newspaper “Bota e Re” (New World) and of the scientific journal “Dituria” (Knowledge) (1971-72), which were published in Prishtina. A while he worked for the newsletter “Fjala” (The Word). Then, for nearly two decades, Dr. Ibrahim Rugova conducted his own scientific activities at the Institute of Albanology as literature researcher. For a time he was chief editor of the magazine “Gjurmime Albanalogjike” (Albanological Tracking) of this Institute. With literary creativity he was engaged from the early sixties. Dr. Ibrahim Rugova, in 1988, was elected chairman of the Kosovo Writers' Association, which became a powerful core of the Albanian movement, which challenged the Serbian and Yugoslav communist rule in Kosovo. As a famous intellectual who gave voice to this intellectual and political movement Dr. Ibrahim Rugova was elected on December 23, 1989, from the founding, president of the Democratic League of Kosovo, the first political party in Kosovo which directly challenged the ruling Communist regime. DLK, under the leadership of Dr. Ibrahim Rugova, quickly became the leading political force in Kosova, gathering most of the people around him. In cooperation with other Albanian political forces in Kosovo as well as with the Assembly of Kosovo of that time, Dr. Ibrahim Rugova and the DLK concluded the legal framework for the institutionalization of the independence of Kosovo. 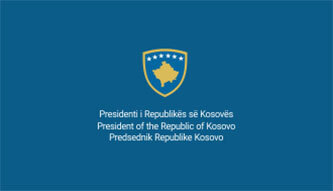 The Declaration of Independence (2 July 1990), declaration of the Republic of Kosovo and approval of its constitution (7 September 1990), the national referendum for the independence and sovereignty of Kosovo, held in late September 1991, was the prelude for the first multiparty elections for the Assembly of Kosovo, held on May 24, 1992. Dr. Ibrahim Rugova was elected President of the Republic of Kosovo. 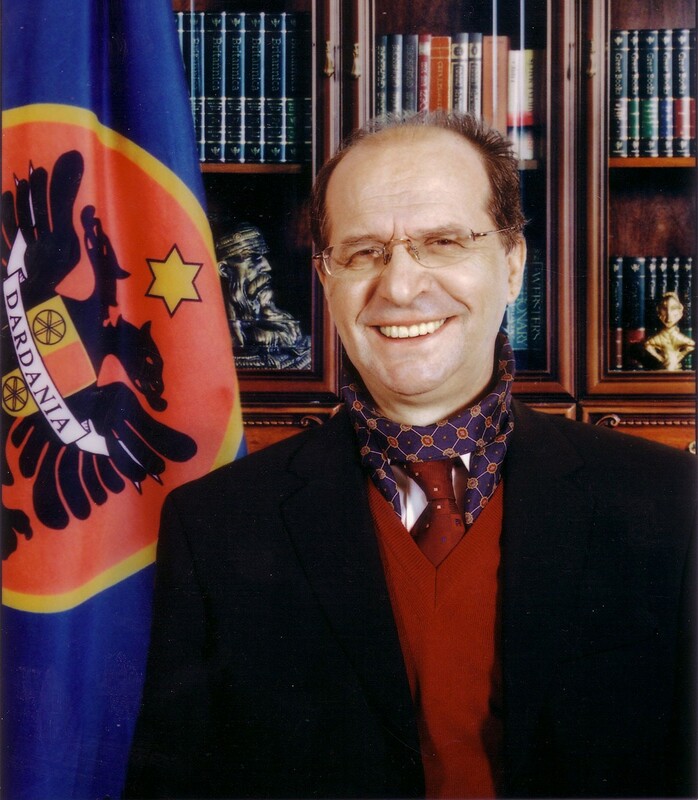 Dr. Ibrahim Rugova was reelected President of the Republic of Kosovo in the elections held in March 1998. Under the leadership of Dr. Ibrahim Rugova the DLK won the majority of votes in the first local internationally-sponsored elections in post-war Kosovo in October 2000, the first national elections in 2001 and the second local elections in 2002. DLK also won the national elections in 2004. Dr. Ibrahim Rugova passed away on 21 January 2006 in Prishtina and was buried in Sunny Hill with the highest honors of the people Kosovo. 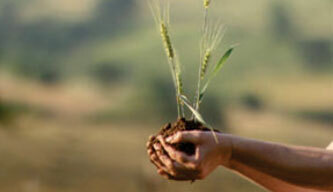 - In 1995, Dr. Ibrahim Rugova was awarded the peace award Paul Litzer Foundation in Denmark. - In 1996, Dr. Ibrahim Rugova was declared Honorary Doctorate (Honoris Causa) of the University of Paris VIII, Sorbonne, France. - In 1998, Dr. Ibrahim Rugova was awarded the European Parliament's Sakharov Prize. - In 1999, Dr. Rugova took the Peace Prize of the city Mynster, Germany, and was declared honorary citizen of the Italian cities: Venice, Milan and Brescia. - In 2000, Dr. Ibrahim Rugova received the prize for peace of the Democratic Union of Catalonia "Manuel Carrasco of Formiguerra" in Barcelona, Spain. - In 2004 Dr. Ibrahim Rugova was awarded the European Award, Honorary Senator of the pan-European Foundation Coudenhove-Kalergi. - In 2004, Dr. Ibrahim Rugova was declared Honorary Doctorate (Honoris Causa) of the University of Tirana. 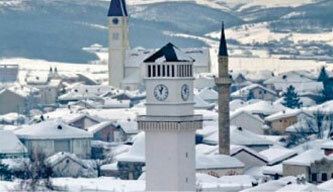 Fatmir Sejdiu was born on October 23, 1951 in Pakashtica, the municipality of Podujevo, Kosovo. He finished his primary and secondary education in Podujevo. He graduated from the Faculty of Law at the University of Pristina, in 1974, where he finished the postgraduate studies, and has defended his doctoral dissertation. He was professors at the Faculty of Law and at the Faculty of Political Sciences at the University of Prishtina with the call of Ordinary professor for 33 years. For in-depth studies he has stayed in France (University “Paris 2”, in 1984, the Section of History of the Institutions of Economics, Philosophy and Sociology of Law and history of political ideas) and in the USA (Arizona State University, for 4 months) and has had shorter study stays at other universities. He has published many scientific works from the legal, historical and legal-constitutional field and special books of these areas. Fatmir Sejdiu has been participant of the establishing Assembly of the Democratic League of Kosovo (DLK) on December 23, 1989. At the first party convention, in 1991, he was elected member of the General Council and in 1992 member of the presidency of the DLK, while in 1994 Secretary General of the DLK. He also exercised this function from 2004 till 2006. On December 9, 2006 he was elected President of the Democratic League of Kosovo, a post which he exercised until 2010. He was a member of the Central Commission for the organization of the Referendum for the independence of Kosovo held in 1991. He was elected deputy in the Assembly of the Republic of Kosovo in 1992 and 1998. Likewise, in 1998 he was elected Secretary General of the Assembly and President of the Committee for Constitutional Issues. In 2001, at the first democratic elections since the war, he was elected deputy in the Assembly of Kosovo and member of the Assembly Presidency, in which textures he was re-elected again in 2004. 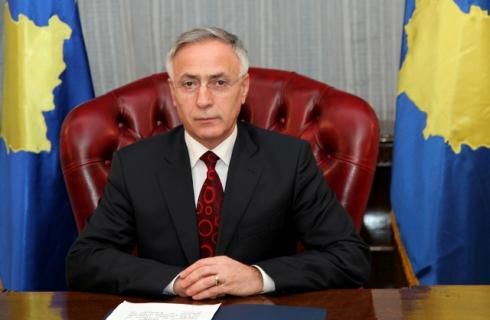 On February 10, 2006, Fatmir Sejdiu was elected President of the Republic of Kosovo with two-thirds of the votes of the deputies of the Assembly of Kosovo. 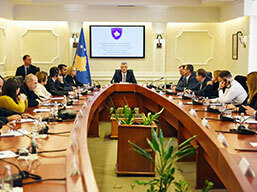 He has led the Unity Team, in the negotiations before determining the final status of the Republic of Kosovo. He has held lectures in important scientific institutions in the world, as in Arizona State University, Oxford Union, LSE London, Leuven, Tirana, World Affairs Council - San Francisco, Harvard University and other institutions. On June 2006, the State University of Tirana awarded Dr. Fatmir Sejdiu the title of Doctor Honoris Causa. On November 3, 2008, President Sejdiu was honored by the President of the Republic of Albania, Mr. Bamir Topi, with the Order “Gjergj Kastrioti Scanderbeg”. On November 5, 2008, President Sejdiu has received the Award "Honorary Citizen of Shkodra. On February 23, 2009, President Sejdiu, at Arizona State University, was awarded the “Distinguished Global Leadership” award. Likewise, in April 2011, he was honored with the title Doctor Honoris Causa from the State University of Sakaryas in Turkey. He communicates in Albanian, French, English, Serbo-Croatian, Bulgarian, and Macedonian. He is married and has three children. He lives in Prishtina. 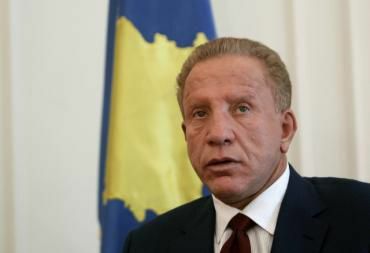 On September 27, 2010, he resigned as President of the Republic of Kosovo. Date, place of birth, family: 30 August 1951, Marec, Pristina. Son to Isa and Nazmije. Married to Masha, Russian-Swiss citizen of Buryat- Tatarian descend. 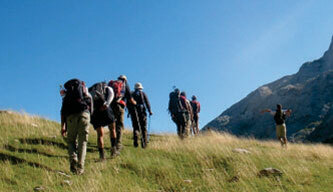 Parent to five children: three daughters and two sons (Arbëresha, Selena, Hana, Isa and Diar). Education: Elementary and secondary education, the Normal High School and Gymnasium in Pristina). 1982-1983 Master in Marketing and Management –Mösinger Zurich Institute. Professional profile: 1974-1975 Foreign Language Correspondent with the Directorate of Development, Textile Combine, Gjilan. 1976 Commercial Director in the Peter Zimmern Company, Austria. Interplastica Project Engeneering Company in Morbio Inf. Switzerland. 1990-2009 Founder and President of Mabetex Project Engineering, Lugano, Switzerland. 1992-2009 President of CRS-Credito per lo sviluppo e ristrutturazione, Lugano Switzerland; President of Mabo Construction. President of Swiss Diamond Hotel Management, Bermuda; Co Krueger Hoch–Tiefbau, Berlin; Co Interfin Finance, London; Co Mabetex International (covering 18 world countries); Owner of Siguria Insurance Company, Pristina; Shareholder in the Economic Bank, Pristina; Owner of Saranda Properties; Co Sine Tempore International; Co BK Anstalt Lichtenstein; Co Diamond Travel; 2009 withdraws from his managerial mandate from all his companies, and remains only an owner of shares regulated according to the legislation of the states in which companies operate. Member of the Assembly of the Republic of Kosovo (2011). Acknowledgment from the Clinton Global Initiative Foundation. Foreign languages: English, French, German, Italian, Russian, Spanish, Serbo-Croatian. President Atifete Jahjaga was born on the 20th of April 1975 in Rashkoc – Gjakova. 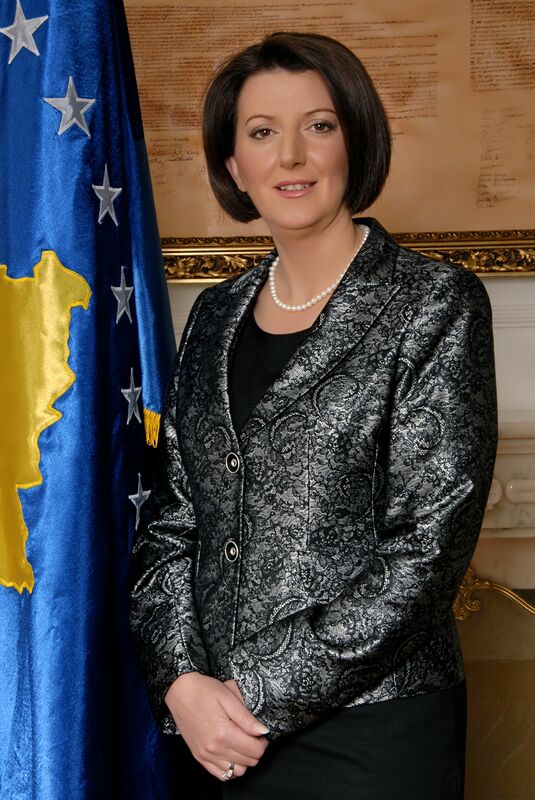 Mrs. Jahjaga was Deputy General Director of the Police of Kosovo from february 2009 until her election as President of the Republic of Kosovo, on April 7, 2011. Since the establishment of the Kosovo Police in early 2000, initially she served as a policeman, progressing at a regional level and that of the General Headquarters. 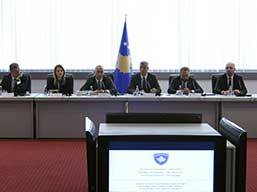 During her earlier career, President Jahjaga has served in key positions in the implementation of law and order in the professional standards unit, then assistant of the deputy director of the Kosovo Police, assistant of the head of human resources, special executive assistant of the Deputy Commissary for the Administration of the Kosovo Police, Deputy Commander of the Border Police of the Kosovo Police, head of training department, assistant of the Deputy Commissary of the P.K. Border Police, assistant of the Deputy Commissary of the Kosovo Police for personnel and training. Currently she is continuing master studies in the direction of International Relations at the Faculty of Law of the University of Prishtina. As an addition to these studies she has attended professional and research programs at the European Centre for Security Studies “George C. Marshall” Germany, at the National Academy of the FBI in the U.S.A. and at the Department of Justice in the U.S.A.